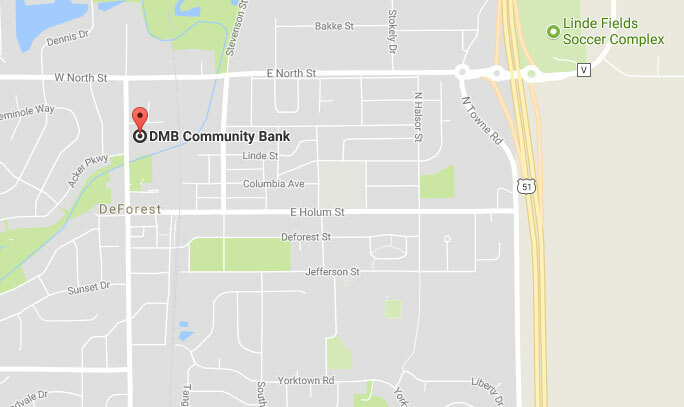 At DMB Community Bank, the money you save with us stays here to help finance local homes and businesses. Our commitment is to the community. Since 1922, DMB Community Bank has been proudly independent. Stability and consistency are the cornerstones of our bank. We offer you personal service and a full menu of products and services. Whether you are an individual customer, a small business or professional firm, we have the products and experience to take care of your financial needs. Banking with us is doing business with people you know and who know you. Friendly service, local decisions, and an investment in the community... all things you’ll find here at your community bank.